If you have ten minutes and a few fresh ingredients handy, you have time to make this simple yet delightful sandwich. If you want to add an extra bit of cute to sweep your girl (or guy) off her (or his) feet, start with oval-shaped buns and cut diagonally. Then swap halves to make a heart-shaped treat they are sure to love. And love you for it! 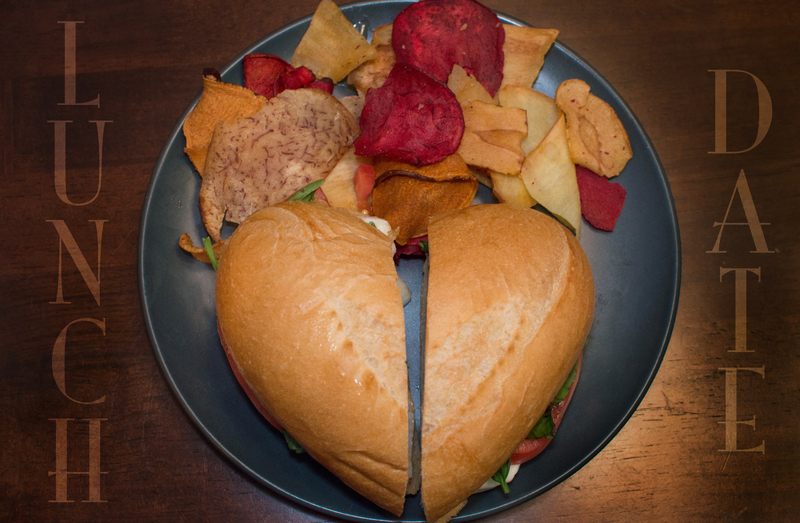 Heart shape or not, this sandwich makes me swoon every time! 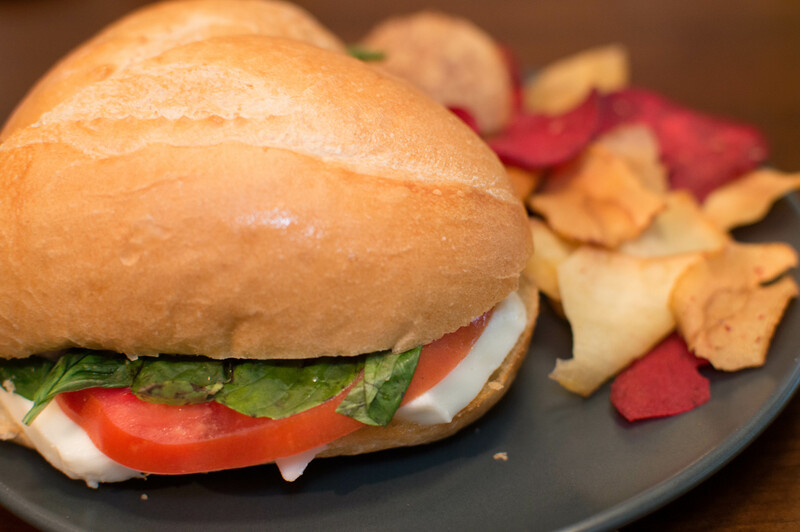 We like to stick to the basics and just use fresh mozzarella (note: there is a difference between processed and “fresh mozzarella” cheese), tomato slices, basil, balsamic vinegar, and olive oil. The buns were basic local grocery bakery buns. White bread, a bit soft, but sturdy enough to hold up under vinegar and tomatoes without falling apart. Top it off with some Terra Mediterranean chips, and enjoy! These little buns were perfect for one of my fav sandwiches. This looks like a tasty Mexican torta… I’m drooling!! Amazing stuff!